52 Weeks to a Free Christmas! Found this on Pinterest and thought it would a be a good one to share! Some Bomb Mom is on Pinterest! Follow me on Pinterest for great deals, kids ideas and activities, special needs, recipes and more! Everything I share will be ideas I love as a parent! My Family’s Gluten-Free Week #1! 1) Gluten Free products should all be labeled so the shopper doesn’t have to read every, single ingredient on EVERY. SINGLE. PACKAGE. Only about 1/4 of the items I bought in my shopping trip were labeled “gluten-free”. The photo below shows all the products out of my trip that were labeled. 3) Gluten Free shopping can be really expensive. Our grocery bill doubled last week. I’m sure I’ll get better at it, but there aren’t as many coupons and items are considered “specialty” and cost more. 4) Gluten Free bread (at least the two brands I’ve tried this far) is very dense, can be dry, and is $5-6 for a loaf that yields about 12 slices. My son hates it. 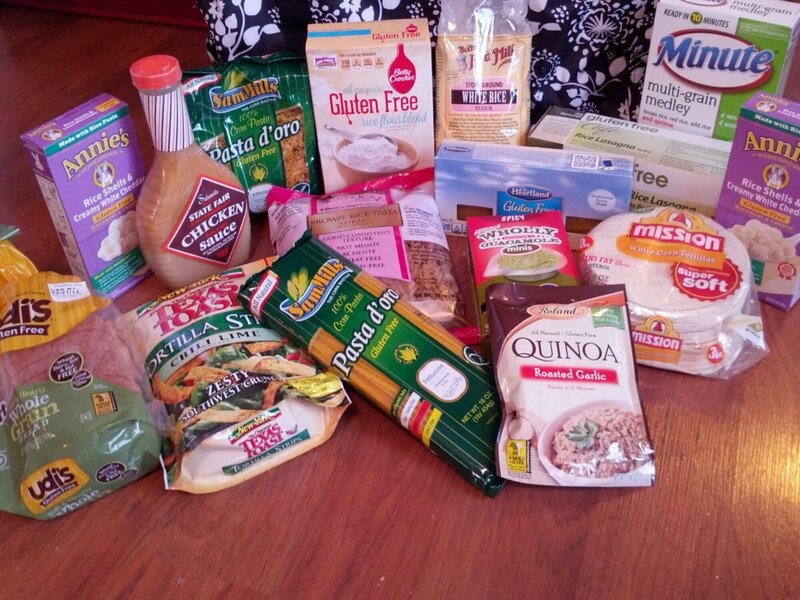 5) ibotta has been my best bet for saving money on gluten free products so far. They actually have a lot of choices for the gluten free crowd. 8) There are a ton of apps to help make the transition easier. I downloaded Find Me GF today and like it so far! 9) It’s a little more work, but it’s not impossible. 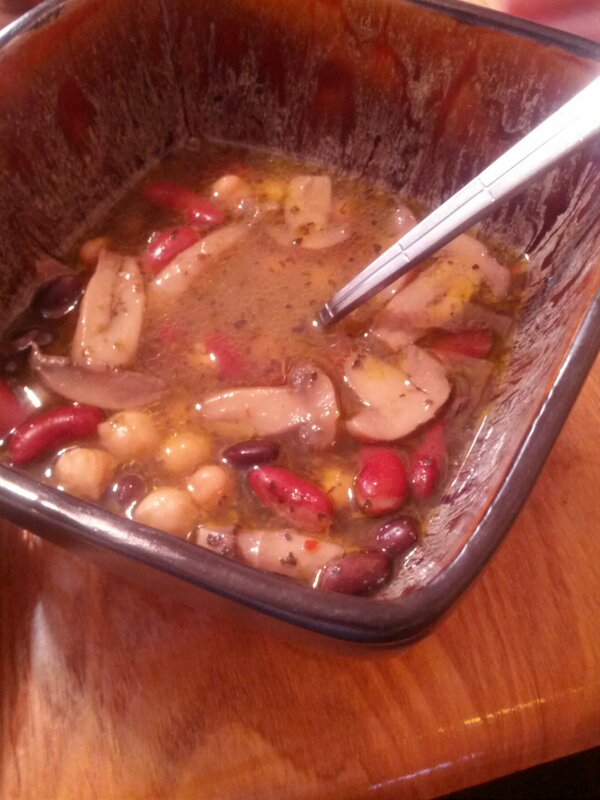 I made this bean and mushroom soup with a vegetable broth and it was gluten gluten-free deliciousness! 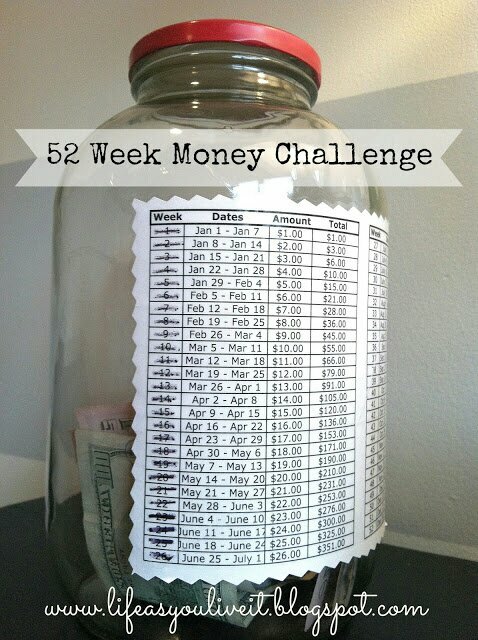 52 Week Easy Plan to Save Money! I’d like to save the money to take a warm winter vacation during next year’s winter break or to fund Christmas!